As an Email Center Pro user, you are asking ECP to send mail to others on your behalf. Did you know that your customers’ mail service may be sending your mail to a spam folder, if it cannot recognize where your email is coming from? Luckily, there’s an easy way to check whether Email Center Pro is listed correctly on your SPF record, so your email goes to their inbox. The Sender Policy Framework (SPF) is a method to prevent email address forgery. It basically tells anyone receiving email from you whether that email really came from your domain, or is a forgery. It’s a good thing to have. You can make the subject line anything you wish, but something like “Testing SPF Record” may help you find the return message later. Add content or not, and click Send. In a few minutes, you will get an auto-reply from altn.com with a whole bunch of interesting results about your SPF record. The one you need to look for is near the top, in the first group of Authentication Results. Look for the line that starts spf=; anything other than pass after that equals sign means you don’t have Email Center Pro listed correctly as a valid sender of mail from your main domain (yourcompany.com). This might show up as softfail or hardfail. If there is a problem, you’ll want to make sure your SPF record uses our most updated recommendation to get your email where it needs to go. Have you noticed that your Email Center Pro account is running faster and more smoothly? Our developers have. Meet Alex and Evan, two of the dedicated ECP programmers who used to get woken up at 2:00 in the morning with alerts that the servers were struggling to handle all of your mail. These days, they’re a lot more rested. The most recent improvements to Email Center Pro are largely behind-the-scenes upgrades that help you serve your customers faster and more reliably. One change you can actually see is in the Search function. We noticed that a lot of our users were using search for “names@domain”, rather than opening the Contacts tab to look specifically for people. You’ll see that the Search box on the top right of your Email Center Pro screen now contains an arrow. Click the arrow next time you’re using the search, and use the drop-down menu to focus your search results on emails, contacts, templates, or tagged conversations. Our software offers two ways to get data into your tables – table Wizards, which walk you through the data entry and questions about expected sales, costs, expenses, and so on, and table Spreadsheets, where you can enter the data directly in a format similar to Microsoft Excel. While the wizards are designed for users who aren’t used to doing their own financial projections, the spreadsheets still offer a great deal of help in understanding what kind of data belongs where. In addition to the general Instructions above each table, spreadsheets contain definitions for every row, which depend on your Table Settings. To see Row-by-row help in your Spreadsheet, simply click on a cell in the row you wish to learn more about, and read the definition which displays along the bottom of your program window. If you do not see the Row definition window below your spreadsheet, make sure there is a checkmark next to Row by Row Help on the View menu. The top line of your Row-by Row help lists the row number and label, to make sure you are reading the right definition. In the example below, all three row names have been filled in; note how the new row labels appear as part of the row definitions (“University Students“). Business Plan Pro tip: How Do I…? I have a confession: I hate to read help files. How could this be? I WRITE help files for a living! Well, first, they often have so much information it takes forever to wade through it to find what I want, and I’m terribly impatient. Secondly, help authors seem to phrase everything in unexpected ways – if I want to know about ADDING, they talk about SUMS. Harrumph. I’d much rather turn around and ask the expert user sitting next to me a question, in plain English, that cuts right to what I want to do. Did you know that we’ve tried to give you that quick, expert user answer on every screen of Business Plan Pro? At the top right of every screen, just below the buttons to close and minimize the program, is a little “How Do I?” button, offering shortcuts to the most common questions our users have. Go ahead and click it; I bet your question is in there. And since planning involves different tasks, like writing text, projecting financials, printing your plan, etc., the How Do I? button will give you additional task-specific tips when you click it from within a topic, table, or chart. So there you go. A little digital expert to consult for your quick questions, with quick, easy to follow, simple answers. Of course, when you’re ready for more complex questions, like the difference between expenses and assets, or whether labor costs for production belong in your Sales Forecast or your Profit and Loss tables, we’ve got that covered in the full Help file. With features like full-text searching, an Index, and lots of ‘Related Topics’ links, we hope using the Help is easier in our programs than in some software we’ve had to use. But, if you end up using only the built-in Instructions, Wizards, and the occasional How Do I? tip, we won’t blame you. In fact, we designed it that way. And you can see the same list by clicking the All Items area below the Outline, then using the drop-down box to filter the list by Tables, Topics, or Charts. Use the Palette button to change the entire chart. OR, right-click on the data series (line, bar, or area) you would like to change and select one of the options that appears. For more detailed changes to background, gridline, or chart box colors, click the custom format Properties button, and change the settings on the General and Y Axis tabs. 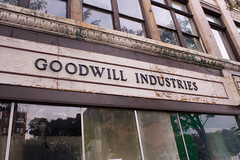 When a company purchases another company for more than the value of its assets – which is quite common – the difference is recorded as an asset named “Goodwill.” This is not a general term for the value of a brand, for example, but a very specific accounting term. Goodwill is normally amortised over 5 to 40 years, depending on variables determined by the accountants. In Business Plan Pro, you would include this goodwill value as part of your Long-term Assets. You can then record the amortization of goodwill as Depreciation. Remember to explain this asset in the Balance Sheet topic.